Prefab shelters are among the most functional modular building systems as they offer extreme simplicity in design providing basic shelter at a very cost-effective rate. Prefab Shelters – Par-Kut International, Inc. Most prefab shelters are composed of a frame made from steel or aluminum, and a roof. Some shelters have walls of polyvinyl or glass to guard against elements of weather. Able to be installed up to 80% faster than conventional construction thus saving the contractor both material and labor costs, prefab shelters offer durability and low maintenance while withstanding harsh conditions such as extreme temperatures and humidity. Industries that typically utilize prefab shelters include construction, refrigeration, electronics, storage, automotive, defense, telecommunications and medical. 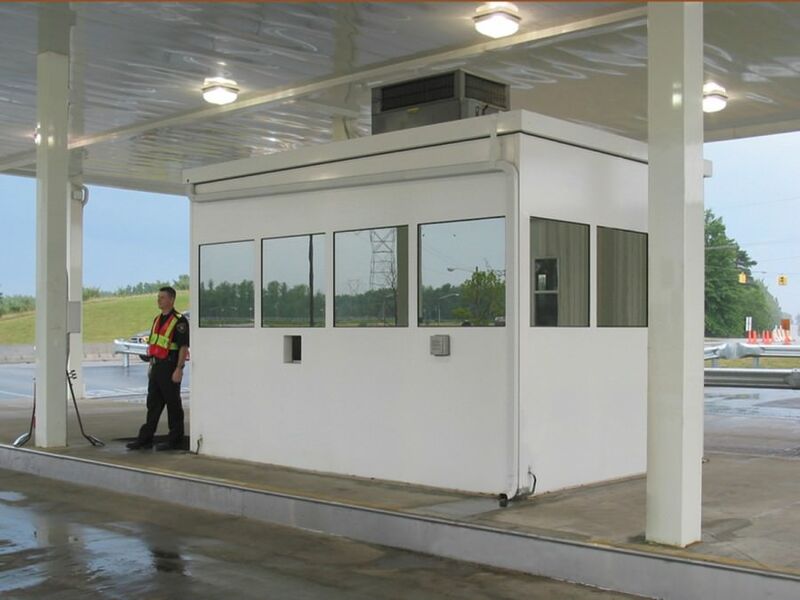 While the most common application that prefab shelters are used for is security enclosures, additional applications include machine enclosures, storage sheds, pump houses, ticket booth, storm shelters, bus stop shelters, guard houses and information booths. 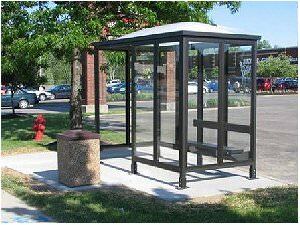 Prefab shelters can easily be designed and engineered to meet the needs of any industry. Prefab shelters can be used permanently or as temporary spaces also known as relocatable buildings. They are able to be used both outdoors and indoors built as part of an existing building system. Typically consisting of a frame and panels, additions such as windows or shelves can be made to custom fit the prefab shelter for the given application. Custom additions to the design of a prefabricated building may increase the costs significantly, but it may be a worthwhile payoff. Prefab shelter frames can be constructed from materials including lightweight aluminum, precast concrete and bullet proof steel. Materials that are used to construct the panels include glass and fiberglass reinforced plastic. Both whole prefab shelters and prefab shelter components are manufactured in controlled factory environments. The finished prefab shelter or pieces are then delivered to prepared building sites for installation. Prefab shelters come complete with all the necessary components, including walls, floor trusses, windows, heating and cooling, plumbing, electrical wiring and interior finishes. Prefab shelter manufacturers provide flexibility and other advantages over site-construction, such as factory-controlled quality and ease of expansion and relocation. The most significant advantage of prefab shelters is the time saved since they are built according to a carefully monitored timetable within the factory plant. Prefab shelter fabrication uses factory methods to greatly enhance quality and reduce manufacturing time and cost. Prefab Shelters Prefab shelters are modular building structures that have been prefabricated in whole or part in a factory prior to being transported to the site and assembled.